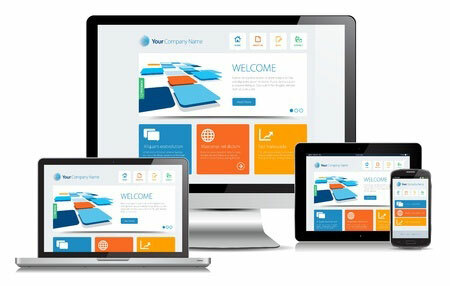 Winning Technologies Web Design Team creates websites with a personal touch that reflect your business's character and individuality. Our team of website developers and experience in the website design field allows us to design at any scale - no job is too small or too large. All of our websites are built with a Search Engine Friendly Structure and are Mobile Responsive, so they automatically adjust to fit all footprints such as smartphones, tablets, etc. Winning Technologies designs all our websites to ensure that your website is a highly effective business tool. It can monitor over 1000 domestic and 70 foreign search engines. Our goal is to get your website moved to the top of search engine requests. Winning Technologies provides a secure, reliable web hosting service within our XpressHost Data Center. Our XpressHost Data Center is positioned right on the Internet backbone to ensure that your website is presented quickly and is robust to provide your customers with the best possible website experience. Winning Technologies can summarize statistical information for all web site activity in an easy to read, graphical report. Our customers also have the ability to view the interactive experience of their customers while they are on their website.